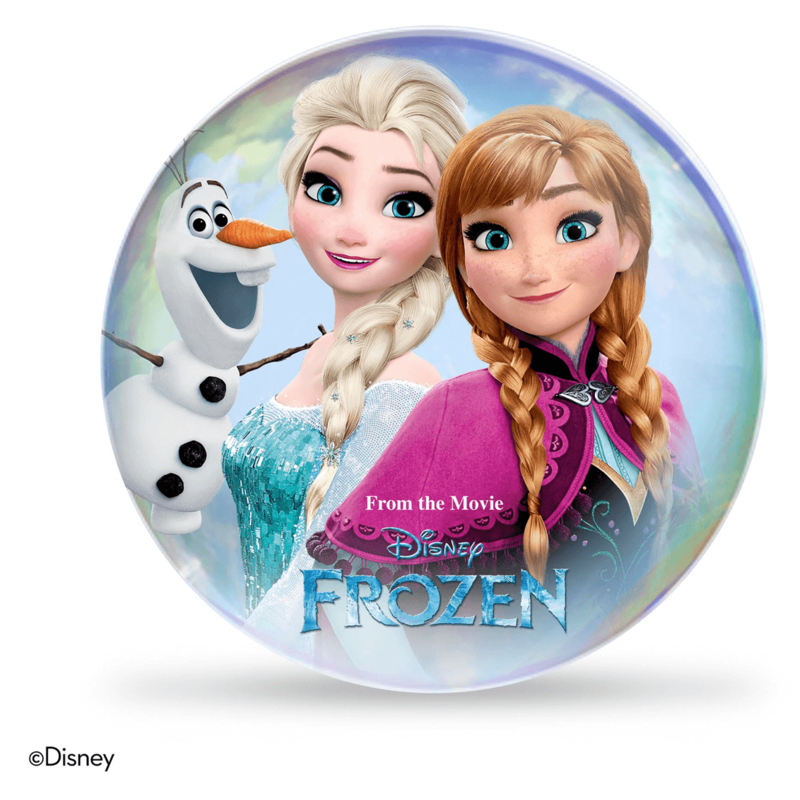 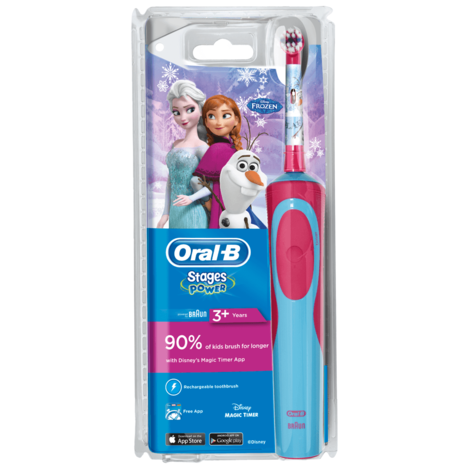 The Oral-B Stages Power Kids Electric Toothbrush, featuring fun and friendly characters from Disney’s Frozen characters, puts the power of a great clean in little hands. 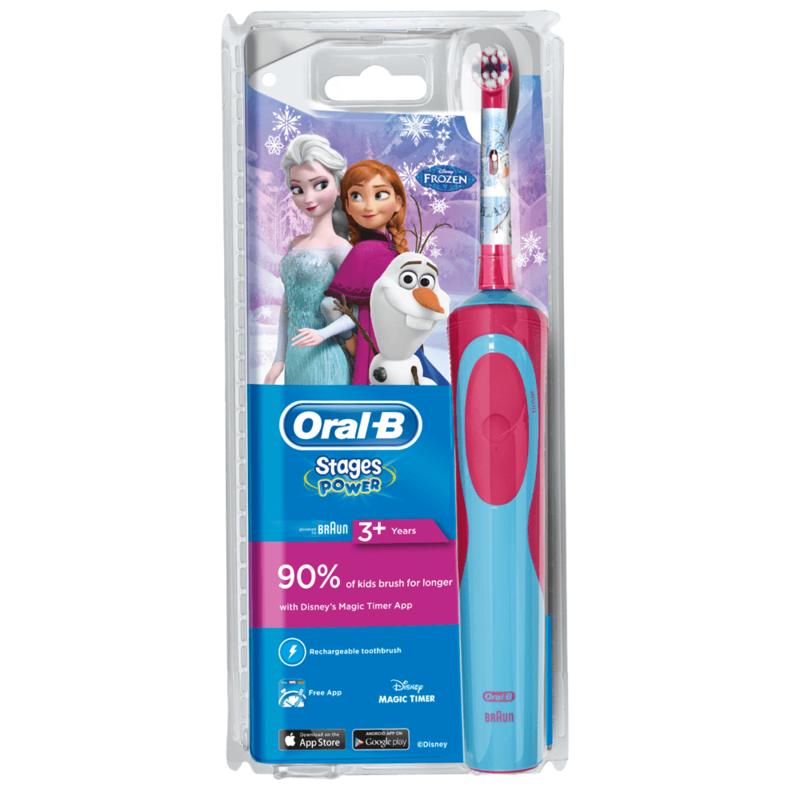 This rechargeable electric toothbrush features extra-soft bristles for young mouths and is compatible with the Disney Magic Timer App by Oral-B. Download the app to help your kids brush for a dentist recommended 2 minutes and learn proper oral care habits that will last a lifetime. 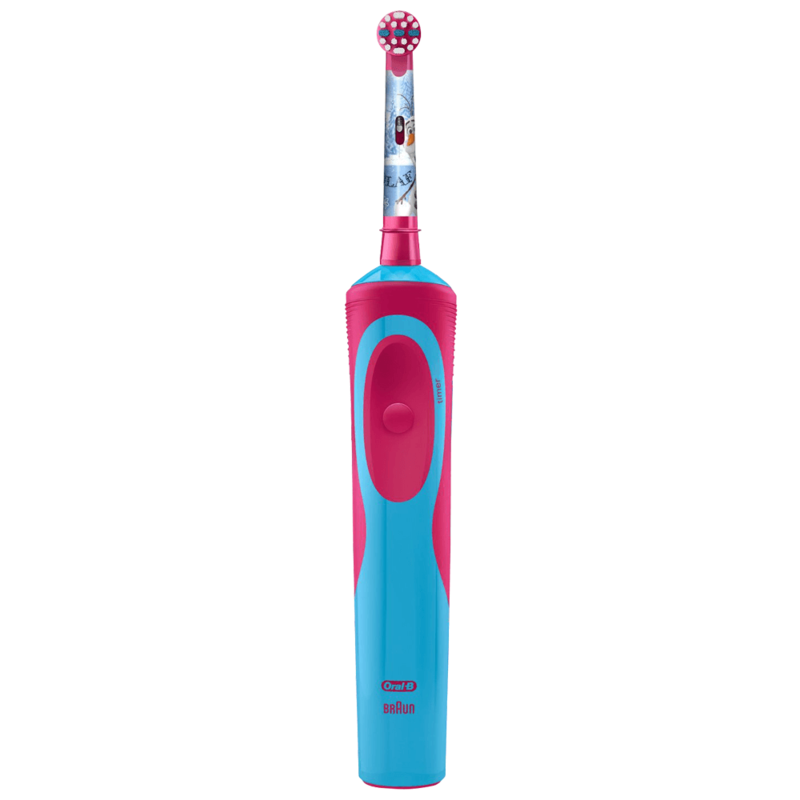 The Oral-B Stages Power Kids Electric Toothbrush, featuring Star Wars, moves with oscillating-rotating action for an advanced clean, helping your kids have fun while they get the most out of their oral care routine. 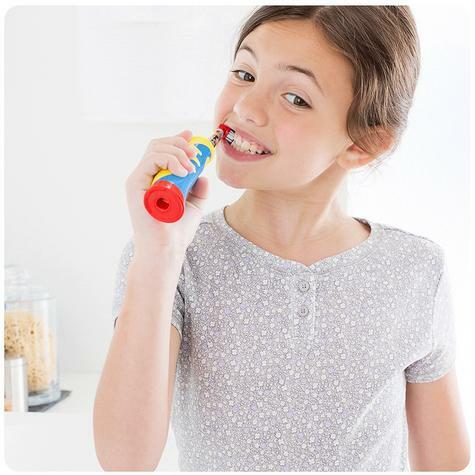 The rotating PowerHead features extra-soft bristles, so your child can get comprehensively clean teeth as they learn proper oral care habits. 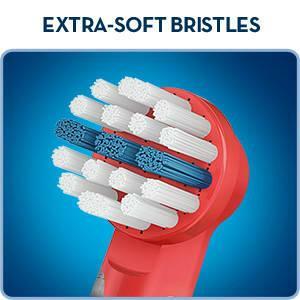 Ideal for ages 3+, the design is perfect for smaller mouths, putting a powerful yet gentle clean in their growing hands. 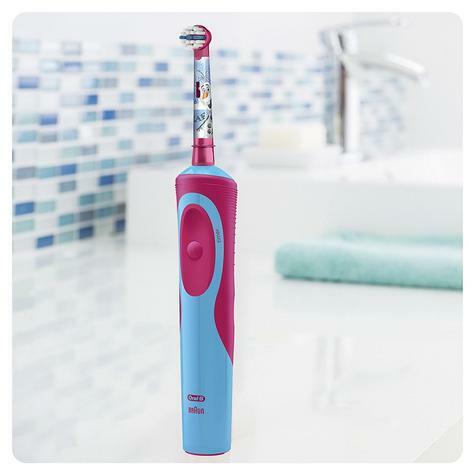 The helpful rechargeable battery in the handle ensures that their brushing fun is always ready to go at the touch of a button. 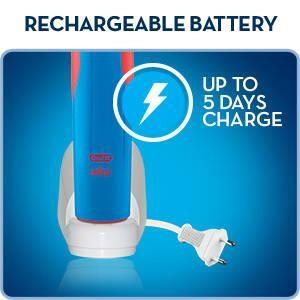 The battery can last up to five days on a single charge. 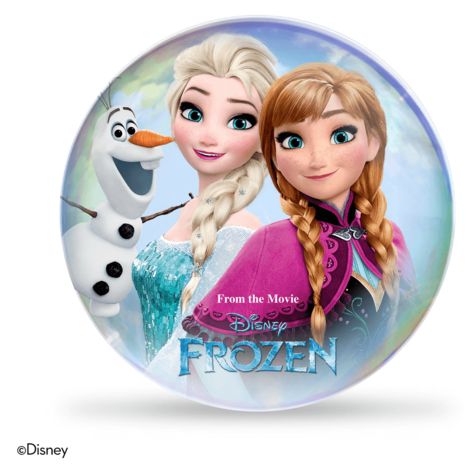 Note: This item may require an adaptor to fit the electricity supplysocket in countries outside of the UK. 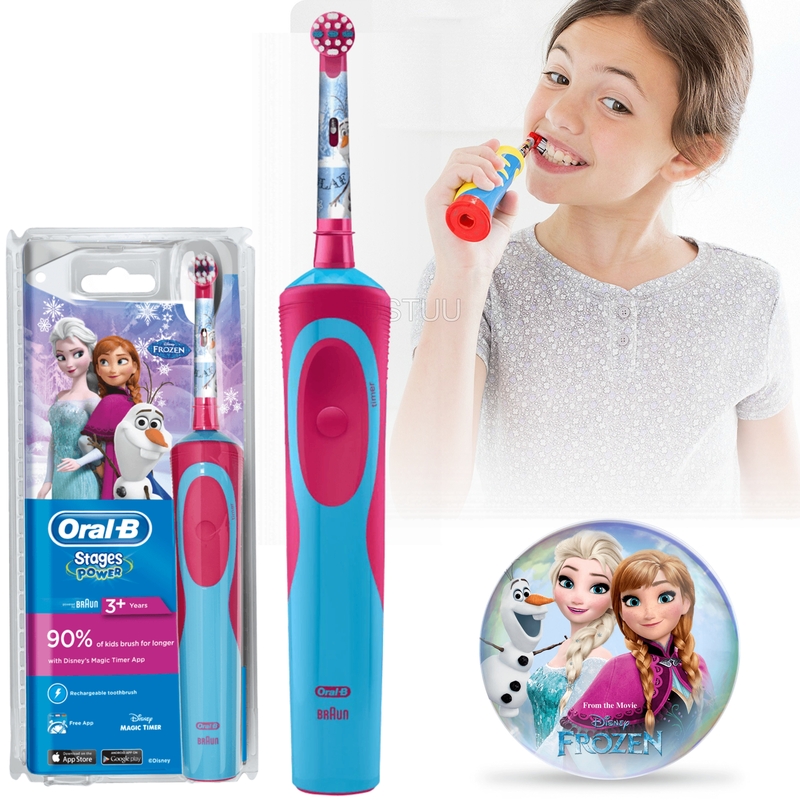 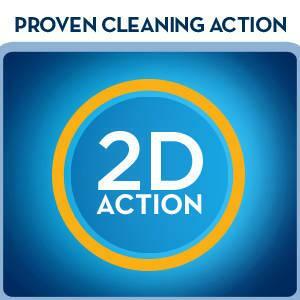 Buy with Confidence from a Oral-B Authorised Dealer and All Purchases come with a VAT Receipt.